We’re all still here. No zombies. No rapture. The apocalypse, it turns out, it just a calendar reset, very much like the solstice, or New Year’s Eve. Then I got the G+ notification this morning that in the Julian calendar, it’s actually December 8 and that the end of the Mayan calendar and Christmas are both days away yet. Needless to say, my response to that particular bit of sharing cannot be repeated on Writerly Goodness. The Mayan calendar restarts at this point. They may not get to celebrate this particular new beginning every year, but that’s what today represents for them: a new beginning. Similarly, the solstice is the renewal of the sun in the northern hemisphere. The shortest day and longest night passes, and from that point in the year, the days become increasingly longer and the nights increasingly shorter until the summer solstice flips the switch. Here’s astronomer Phil Plait’s informative article on the event. 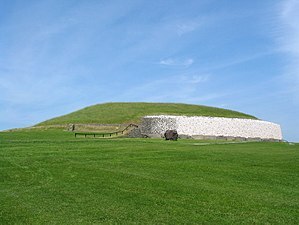 For those of you with paganish leanings, or the Celtophiles among you, here is a link to this year’s solstice ceremony at Newgrange. Cultures throughout the world celebrate the solstice in one way or another. Christmas celebrations (among others) can be traced back to, or related to the pagan solstice celebrations that predated them. It is not only the beginning of a new season, but the beginning of a new year for some. If you think about the 12 days of Christmas and start the count on the solstice, the final day of celebrations will be anywhere from January 1 to 3, depending on the year and the day the solstice actually falls on. I get the inclusiveness of the message. I’m not Christian myself, but I was raised in that tradition and I celebrate Christmas with my family and friends like most people of Anglo-European descent. My paganish side honours the solstice and the season it starts for me, culminating in the New Year. Like the Mayan calendar, and the solar/astronomical year, our calendar restarts at this point as well. January 1st marks a new beginning for most of us, a time of putting up new calendars and taking down Christmas decorations. The tree (a pagan tradition, by the way) is shipped to the curb for recycling, or repackaged back in its box until next year. Resolutions are made and adhered to or abandoned as our nature demands. So what do you think about renewals, the Christmas/holiday season, and what it represents for us? Coming soon: I’ll be posting on Christmas Day, creating a “best of the year” post, and blogging about planning and resolutions with a writerly focus. 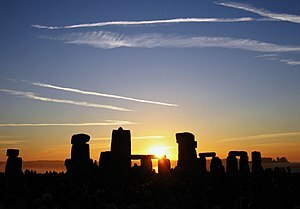 For now, I’ll simply wish everyone a happy solstice. I love this season for several reasons. Peace on earth and goodwill toward men (and women.) The Nativity story. Santa Claus. The decorations, the carols, the celebrations with family and friends. All good stuff. Happy Winter Solstice to you, Melanie! The carols are definitely one of my favourite parts of the season. Goodwill toward humankind!